FOCUS TRANSPORT: Double Deck Parry People Mover? Parry People Movers, the manufacturers of the PPM 60/Class 139 vehicles operating on the Stourbridge branch line have come up with the concept of a double deck version of the people mover. By constructing an additional top deck on a derivative of the Class 139 railcar, the existing 60 passenger capacity can be increased to over 100 even allowing for space needed for stairs between the decks. The PPM double deck tram will have normal stairs between decks and also a compact passenger lift. This is needed because passengers who have difficulty climbing stairs or bringing along small children in pushchairs will be discouraged from using the upper deck. The lift feature could be a principal enabler to the return of the double deck tram. The new vehicle will make best use of street space and improve the productivity of public transport vehicle crews. 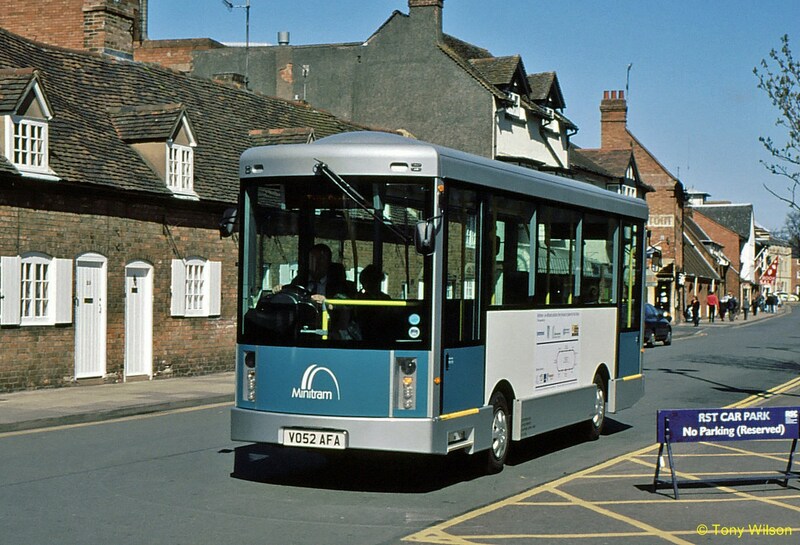 Compare the latest design proposal with a model trialled in Stratford-upon-Avon during April 2003. There has already been a strong revival in popularity of double deck buses with new models introduced by the main bus manufacturers. It is obvious that exactly the same factors should apply to the next generation of tram. This is especially so where it is inevitable that much of the route will involve slow running with numerous stops. Like buses, vehicles will close up nose-to-tail. A double deck tram will accommodate around twice the number of people as a single-decker the same length. So the design task is to produce a new product derived from two sources. PPM’s Class 139 hybrid railcars and the traditional double deck tram of yesteryear, such as partially modernised vehicles still in daily use in Hong Kong. PPM technology rests on a simple but effective engineering device: the flywheel. The rotating flywheel is a store of kinetic energy that is used to power the vehicle. A typical PPM flywheel is made from steel laminates, 1m in diameter and 500kg mass, rotating at a maximum speed of 2,500rpm - simple, reliable and easily maintainable. The flywheel allows the direct capture of brake energy (when slowing down or descending gradients) and its re-use for acceleration. Since the short-term power demand for acceleration is provided by the energy stored in the flywheel, there is no need a large engine or heavy-duty electrical supply along the whole length of the route. Calculations show that the PPM 60/Class 139 vehicles operating on the Stourbridge branch line emit less than a third of the carbon dioxide produced per day by the conventional trains which previously worked on this route. This saving is achieved despite the fact that the PPM vehicles provide a 50% more frequent service.